Sending SMS (Short Message Services) messages in bulk is now an easier task using technology from Database Systems Corp. (DSC). For over 30 years, DSC has been successfuly providing computer related products and services to customers throughout the world. DSC has developed computing products for call processing centers including phone systems and application development software and tools. DSC provides call handling services that include automated phone answering services and message broadcasting services such as voice broadcasting and text messaging services. The acronym SMS stands for Short Message Service. 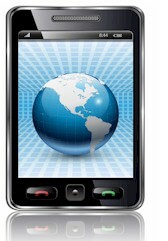 SMS is also often referred to as texting, sending text messages or text messaging. The service allows for short text messages to be sent to a cell phone from another cell phone, from a central data center or from the Web. Sending SMS messages commercially can be an effective means of communicating with your clients or with suppliers and vendors. Emergency SMS services can be employed to deliver warnings to community members in the event of a disaster that affects a large number of individuals. Contact DSC to learn more about our how to send SMS messages to your customers and community members. Our online message broadcast service is both secure and easy to use. First, register for this service using our online registration process. These are the simple steps required to send SMS messages. Create and upload one or more list(s) of cell phone users. For an online tour of this message broadcast service, visit our message broadcasting demonstration page. DSC now provides an online signup for non-profit and commercial organizations wishing to use our voice message broadcasting and SMS broadcasting service. Contact DSC to learn more about how to send SMS messages using our call center technology.